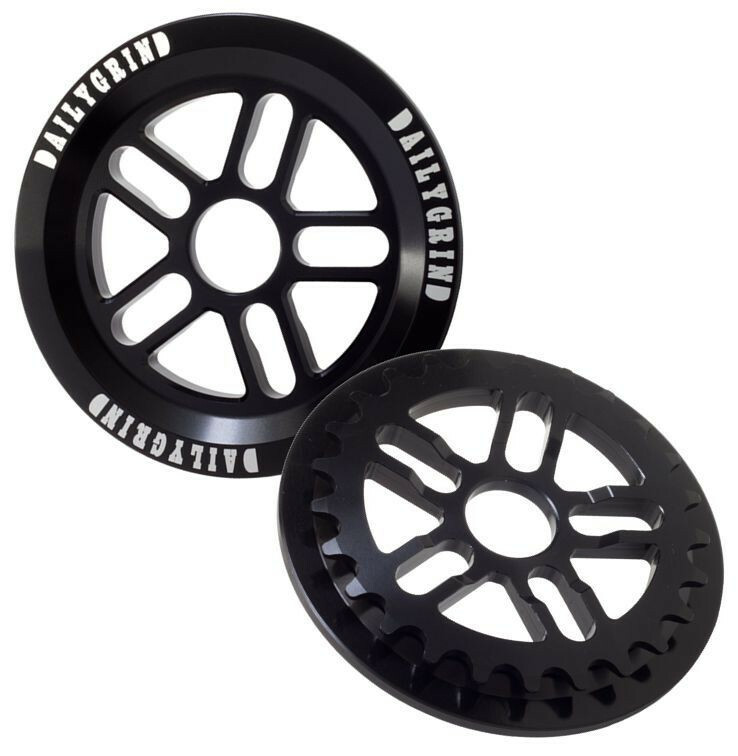 The Daily Grind Millennium V2 Guard Sprocket features a split 5 spoke design that incorporates a fully integrated guard to protect the sprocket and chain from grind damage. CNC machined from 7075 aluminum for maximum strength with 1/8" teeth and engraved Daily Grind logos for the finishing touches. Compatible with all 1/8" BMX chains without rubbing the guard.